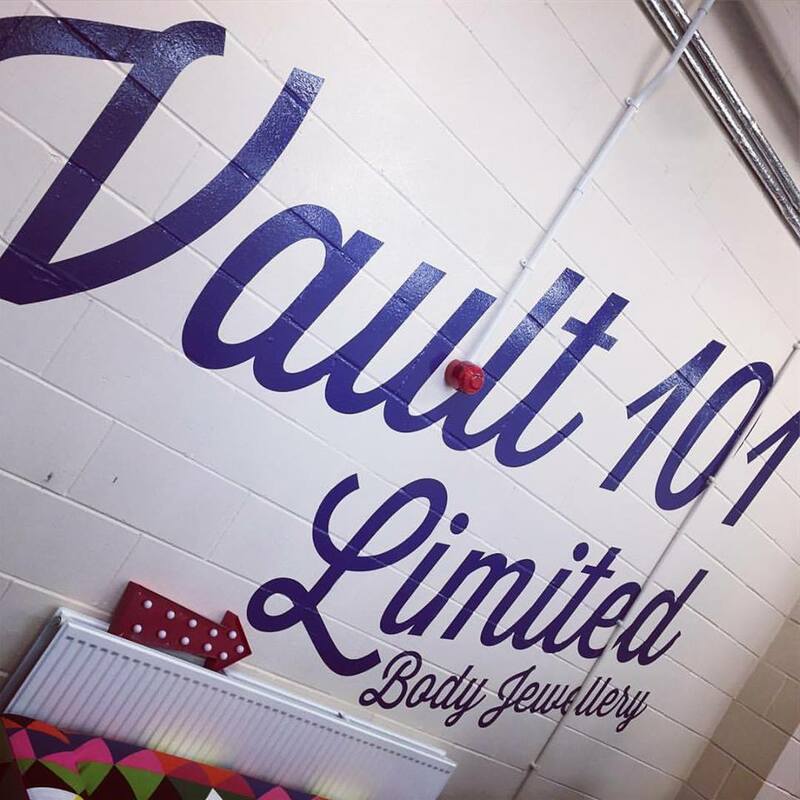 Vault 101 Limited is based and founded in Annan, Scotland specialising in body Jewellery across the board as well as alternative and custom jewellery stocking over 1 MILLION ITEMS as well as producing custom made to order items. Our growing team of experts work tirelessly to ensure you receive the best quality items and at the best possible price. We work with local piercing studios and manufacturers to provide our customers with the latest trends in the world of ever changing and evolving body jewellery and oversee every step from manufacturing, quality control, customer service and delivery to your door. Designed, manufactured and tested by piercing enthusiasts …(that’s us), for the people who truly appreciate it …(that’s you guys). We know that it’s hard to find the perfect plugs, that’s why we let you design your own! If there’s something you want, let us know! Were always looking out for great ideas and every now and again it’s nice to set a trend rather than follow the crowd. Head over to our social media pages to have your say. Gather round the metaphorical camp fire and let us spin ye a tale. Ex design engineer Chris started it all in his living room many moons ago after urgently needing a spare ball for his labret and after walking into an undisclosed shop, he realised the prices were far too high. So with £10 he set off on a mission to source some high quality labrets from a reputable CE certified manufacturer and the rest is history, the labret profits spawned BCR’s, the BCR profits expanded to barbells and horseshoes which leads us to today where we stock over 1,000,000 high quality items from the piercing essentials to the latest jewellery trends in tunnels & plugs. The “office” expanded from the living room to the larger bedroom within 6 months and while working full time 9-5 employed various friends and family members paying them in pizza and piercings to help package the orders that were waiting on eBay & Amazon in the evenings until 2 months later when the decision was made to leave the day job and make Vault 101 Limited the number one priority. Within another 6 months we had 3 full time staff and moved to our first “proper” office, we had seriously underestimated how quickly our stock and customer base would grow and after only 12 months being there we were on the lookout for another premises. 3 years and a Scottish Enterprise Award later, here we are. Were currently based in a rather large office and warehouse, still rapidly growing and adding new stock ranges on a monthly basis and putting our customers first. Vault 101 Limited products are also available on our eBay & Amazon stores but only here will you find the best prices. On our lovely new website were able to cut out the selling and listing fees that our other stores charge us and with no shop overheads we pass the savings on to you. How to open/close segment rings?